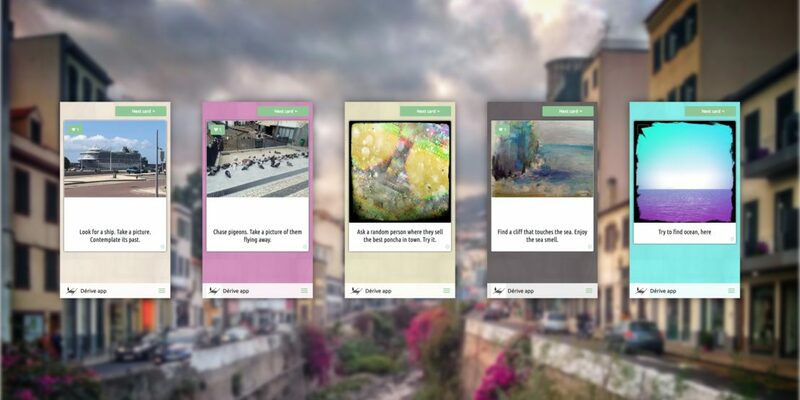 Not even for a week has it been possible to create your own custom deck of task cards, using Dérive app’s latest release, and already the first full deck is seeing the light of day. Created for Olomouc, in the Czech Republic, the deck is about discovering and exploring local and regional business enterprises. The deck, ‘traces of local entrepreneurship’, is created by Filip Förstl, who is studying International Development Studies at the Palacký University of Olomouc. The deck facilitates the discovery and exploration of local and regional enterprises. Initially, Filip designed the deck specifically only with Olomouc in mind, but he’s extended and generalised the tasks to have them work in virtually any urban environment. Olomouc, in the east of the Czech Republic, is located on the Morava River, is the historical capital city of Moravia, which, together with Bohemia and Czech Silesia is one of the historical Czech, or Bohemian, lands, that make up the Czech Republic. Filip’s university, founded in 1573, is only the second oldest university in the country. Perhaps one of the more quirky factoids is that Olomouc has an asteroid named after it. More conventionally, Olomouc also hosts a World Heritage Site, while the university buildings comprise about a third of the town’s old centre. Olomouc is a lovely city to explore. If you’re interested to discover the town’s local and regional enterprises, or if you want to try the deck of task cards in your own city, don’t hesitate to give Filip a shout (email, Facebook) and ask for the invitation code.